1974 Jensen Interceptor Mark III - I like Interceptors. Italian Style, British class and American V8 power. Perfect. They're fairly rare and increasing in value, which makes it tough to find a "driver quality" Interceptor these days. This is a driver quality Interceptor. It is a car you could (and should) drive often. This is not a perfect car, but it's nice enough. It has a few minor issues; the power locks and drivers side window do not work, the A/C is there but not working, that radio is shot (who cares?) and, the most serious issue, it has a bit of rust on the hood. That's it. According to the seller it runs and drives great. The body, besides the rust on the hood, looks great. The opening bid price for this car is a reasonable $13,000.00. The Buy It Now price is $15,000.00. Located in somewhere in North Carolina, click here to see the eBay listing. 1981 Bristol 412 - Speaking of Italian style, British class and American muscle, like the Jensen, the Bristol 412 had all of that. The 412 body, which is an acquired taste, was designed by Zagato. The engine is a Chrysler V8. The car was assembled and sold by Bristol cars of Great Britain. Bristol is a very unique company. Almost secretive, they have no distributors or dealers and deal directly with customers. Their one showroom is located at 368–370 Kensington High Street in London. They build around 100 - 150 cars per year. 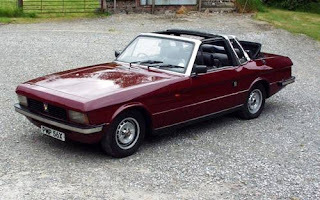 Bristols were never sold in the US. If you're looking for a British car that will be unique at virtually any car show in the US, a Bristol would be a good choice. This well maintained 412 is in the UK but, being a 1981 model year, you should have no problem bringing it into the US. Incredibly expensive when new, the asking price for this car is £15000 (about $24,000.00). Located in Marlborough, Wiltshire, UK, click here to see the CarsandClassics.co.uk ad. 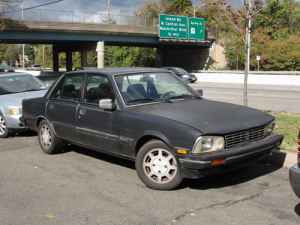 1988 Peugeot 505 - As I've written before, Peugeot would still be alive and well in the US if they even had the faintest idea of how to market a car in the US. They had a small dealer network, pushed diesels when no one wanted them and often refused to change their cars for the US market (i.e. the first 604s sent to this country had the directional signal stalk on the right side of the steering column). That's too bad, because they made some fun, interesting cars. This is one of them. The 505 Turbo could hang with the best of the European sports sedans. It was fast, handled well and was extremely comfortable. Like all European cars of the 1970s and 1980s it needs regular maintenance, but for the little extra time you invest you're rewarded with a reliable, fun car. This is a very desirable 5 speed 505 Turbo. It appears to be in respectable, but not perfect condition. With a good buffing or maybe a paint job, it could be a nice daily driver. The seller can no longer drive a stick and is looking for $1800.00, best offer, or a "comparable automatic transmission vehicle". Located in East Harlem, NY, click here to see the Craigslist ad. just as i've been fantasizing about adding a jensen to the bunch as a weekend car, here's this one! this one's a bit far away, but it might inspire the search for a driver nearer to me. 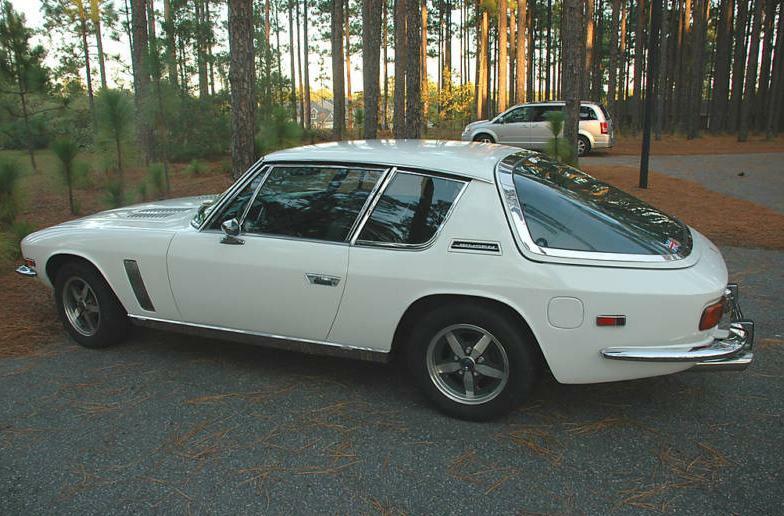 When one looks at the asking prices of Etceterini cars such as Monteverdi, Iso Rivolta, Bizzarini, Facel Vega, Bristol, etc., the Jensen Interceptor may be one of the last true bargains available these days. The prices of these cars are drifting out of reach. For the most part they used to be attainable. In 2006, Sports Car Market considered Monteverdi only to be a "C Grade" investment. Their prices have gone through the roof. Ditto for the others. I always liked the Bristols (and their BMW cousins) from the late 1940's and early 50's. The Crook era cars are another story however. I could never get past their artificial exclusivity, ridiculous prices, and terrible design. They were never sold stateside, and for good reason. They would have enjoyed the same level of success as a franchise of Steak and Kidney pie restaurants. A 505 turbo with a 5 speed has to be one of the greatest cars ever made.